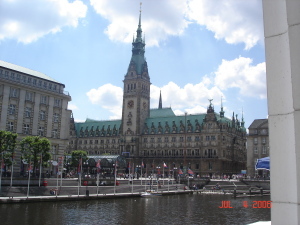 Hamburg is one of the world’s great river cities. As the Seine is to Paris, as the Thames is to London and as the Danube is to Budapest, so is the Elbe to Hamburg. It has shaped and defined the place. 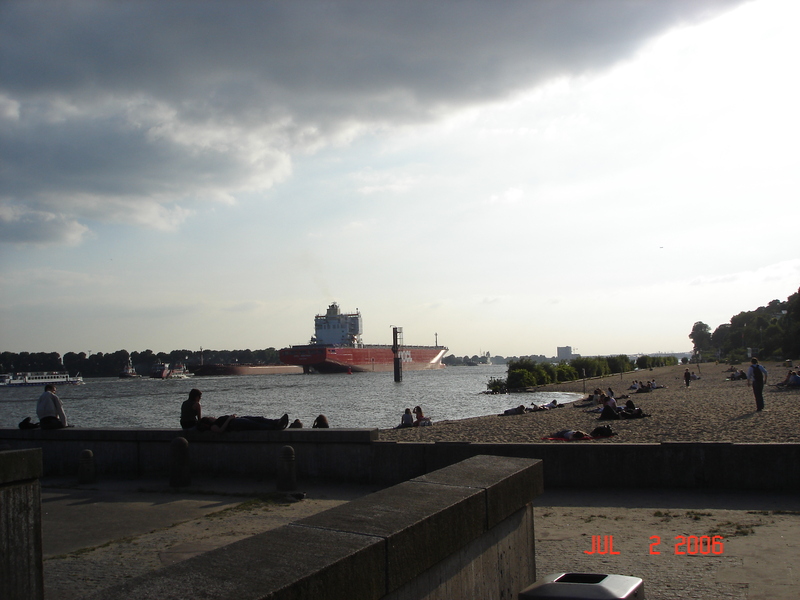 The Elbe is not just the life blood of the city, a superhighway to the Atlantic for its ships and the world’s greatest inland port, the Elbe is also a treasured leisure ground for the people of Hamburg. In any season, hundreds of walkers stride along the Elbe’s paths, their alpenstocks always at the ready. Cyclists can follow tracks for miles, through suburbs like leafy Elbechaussée with its gorgeous 19th century villas, its restaurants and its cafes and on into the country. But, if they tire of the view from one side, the Old Elbe Tunnel will take them to different vista, from another bank. In summer the people of Hamburg pack into beach clubs along the Elbe, to enjoy a Riviera style experience with bars, decks, deck chairs, waiters and bathrooms. There’s the ‘Strandperle’ or Pearl Beach, described in one tourist brochure as “:the mother of all beach clubs”, so presumably it’s the star of the fleet. Then there’s the sensibly named Hamburg City Beach Club, as well as the exotic Lago Baz, the fanciful Hamburg del Mar and the whimsical Strand Pauli. The most popular beach on the river, though, is the fittingly labelled Elbe Beach. On the July summer evening that I dropped in on Elbe beach, its broad sands were alive with sizzling barbecues, sunbathers soaking up the last of the sun’s rays and swimmers were splashing in its waters. It could have been any bay, any lake, any riverside beach anywhere in the world. But with the giant ship, tall as an apartment block, tracking slowly seaward, just off shore and the port of Hamburg bristling with cranes and stacked with containers just beyond, it could only have been the Elbe.